Click here for more information on Meaningful Use Core and Menu Set Objectives. 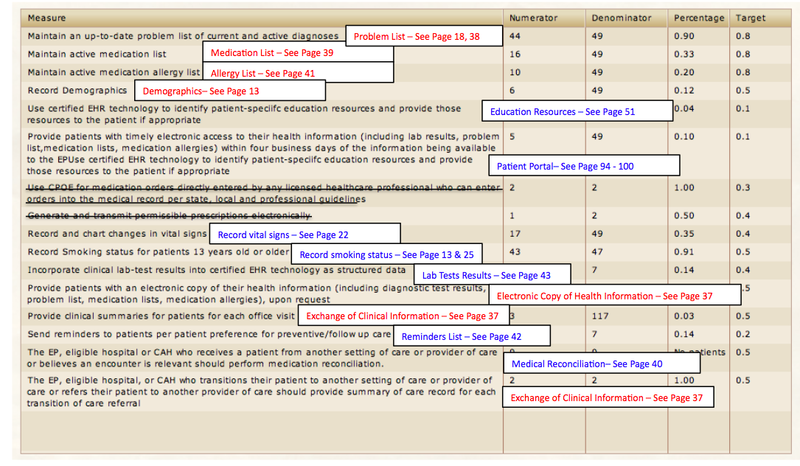 Below is a list of the 25 Meaningful Use Objectives. The 15 core objectives appear first (the important items to complete are in red). The 10 menu-set objectives follow the core objectives (the easiest ones to complete are in blue). 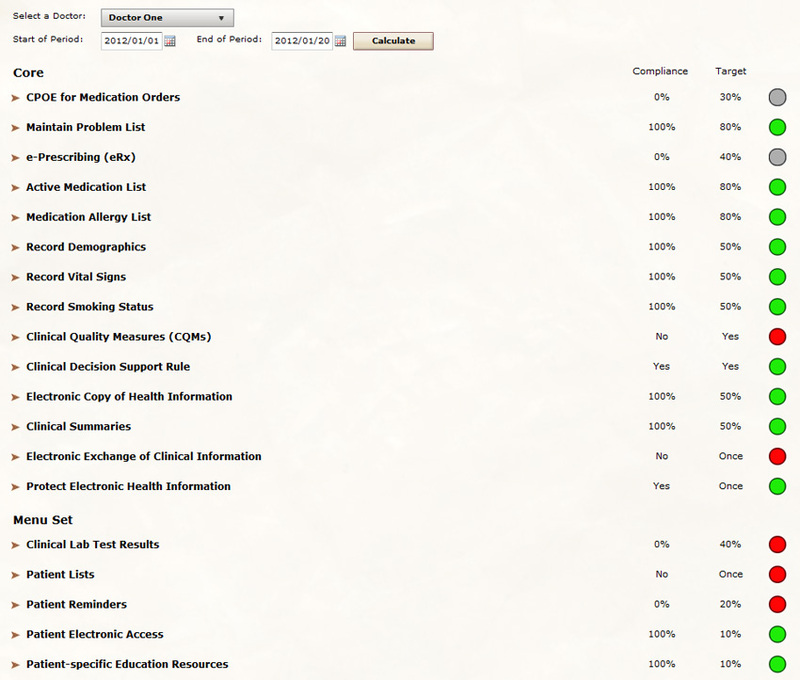 Below you can see the Meaningful Use Report. See video above on how to access this report in BackChart® COS. This entry was posted in Introduction by Jordan. Bookmark the permalink.